The service invoice is for any laborer that has provided work on an hourly or per project basis. The service invoice may be for labor only or include materials if used. Depending on the type of service, payment is due by the client upon completion or sent via e-mail or standard mail. If payment is due after the service is provided, the bill will be due upon receipt by the client. 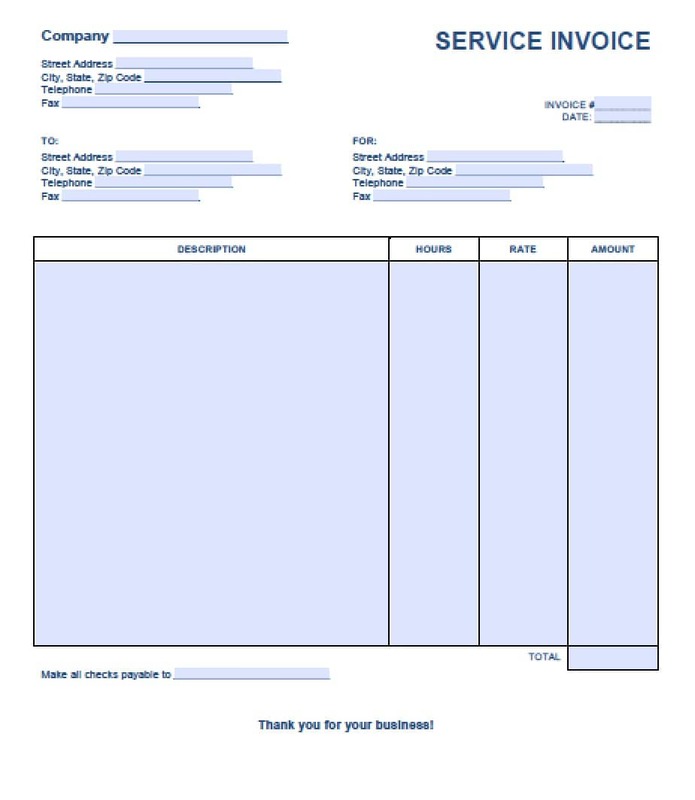 The electronic repair invoice template is for any type of repair to an electronic device such as a mobile phone, tablet, or computer. The invoice is to be generated and provided to customers only after repair services have been performed. The road service invoice is for any individual or company that has an automobile, truck, or motorcycle that was serviced on the open road. Common companies that provide this act are local repair shops, AAA, and other roadside assistance companies. The singer invoice is a document that professional singers, or their manager/representative, can use to bill their clients for the completion of a contract or performance(s). This could be for corporate gigs, studio work, or hired work with a group. The virtual assistant invoice template describes a charge that a client must pay after receiving remote counsel from a professional advisor. The invoice is applicable to all types of assistance rendered by phone, email, fax, video, and other means of communication.